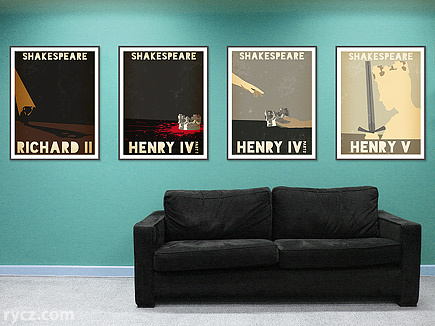 I created a series of posters for Shakespeare’s second historical tetralogy (sometimes referred to as the Henriad). I had a lot of fun making these. I did most of the work in Illustrator; I used Photoshop to add the texture. I chose the colour palettes specifically to signify a progression from dusk to a new day. Each illustration is simple while being emotive and capturing the mood of the play. While each poster is attractive on its own, they share similar designs, the repeating element of the crown, and well-coordinated colour palettes that distinguish them as a series. When shown together, they tell a story. I think these illustrations would also make beautiful book covers. 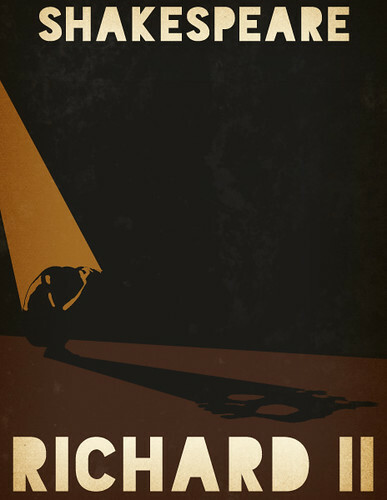 This poster focuses on King Richard II’s madness and death. The dark brown palette is taken from the colours of the dusk. 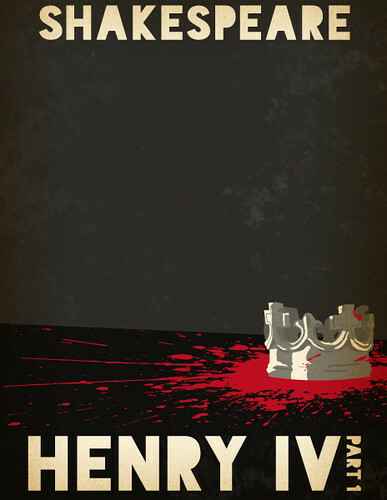 King Henry IV’s reign is stained with the blood of Richard II. The dark greys symbolize the night. The crown is passing from King Henry IV to Prince Hal, who becomes King Henry V. This lighter palette is taken from the colours of the dawn. 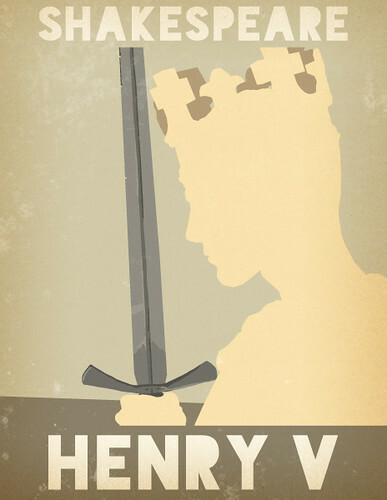 King Henry V is holding his sword, his head slightly bowed as if in prayer; his devout religious beliefs are highlighted in the play. 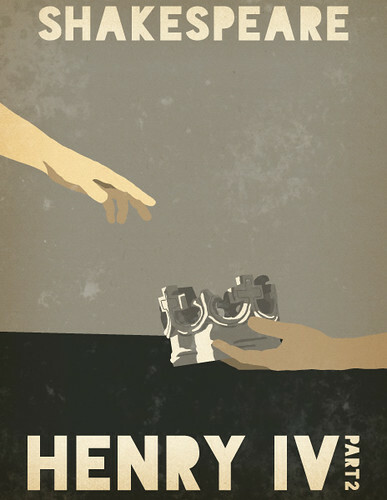 Henry V focuses on this new king who must reach out to the frustrated people of England; he invades France and wins battles against seemingly impossible odds; in the end, the French surrender. King Henry V’s marriage to the princess establishes a foundation to unite the kingdoms of England and France. This poster has the brightest colour scheme; the palette is based on the sunrise.